It starts innocently enough. You head to Wikipedia to research the latest trends in self-healing materials. You tell yourself you’ll only read one more article. And several hours later, you’ve fallen down a cyber rabbit hole so deep, you can’t remember why you opened your browser in the first place. Conventional wisdom tells us that procrastination is a bad thing. Yet putting things off can actually lead to increased productivity, smarter decision making, and greater success. In fact, one study found that looking at photos of “pleasant images,” such as food or baby animals, can boost concentration. And in 2014, scientists confirmed what many architects already know: Looking at certain buildings—like museums, churches, and libraries—may have a positive effect on your mental state. 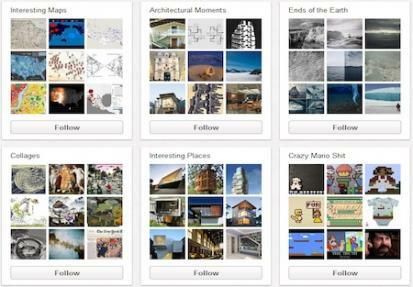 To help you make the most of your midday slump, we found 15 inspiring Pinterest boards for architects. Go ahead, we won’t tell anyone. Do you have a favorite Pinterest board? Let us know in comments! Architecture // Curated by Barefoot Interiors Styling. Architectural Color Details // Curated by Jill Morton. Concrete // Curated by Architectuul. Doors // Curated by Katarzyna Ciszewska. Geometric Design // Curated by Miho Hiramatsu. Architectural Drawing // Curated by ArchDaily. Architecture + Exteriors // Curated by Chloé Douglas. Interiors // Curated by Jonathan Boivin. Lovely Spaces // Curated by Bri Emery. Photograph by Jeltje Janmaat for Sukha Amsterdam. Minimalist // Curated by Kusno Utomo. Architecture Models // Curated by RQ design. Model by Thomas Lommée and Christiane Hoegner. Inspiration in Modernity // Curated by Hyde Park Mouldings. Museum Public Facilities // Curated by hira1O takashi. Restoration / Restoration // Curated by Namir EL Andary. Stair // Curated by Jack (Thailand). Photograph by Fernanda Marques Arquitetos Associados.